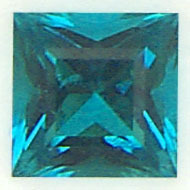 MM-285b-CRIS: This is a beautiful two-color Cristinite, faceted in a square cushion design, and cut by Barbara. 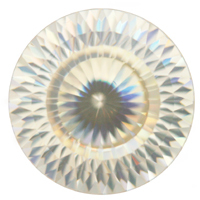 MM-286b-CRIS: This is a beautiful bi-color Cristinite, masterfully faceted by Barbara in an apex crown round design. 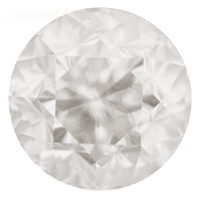 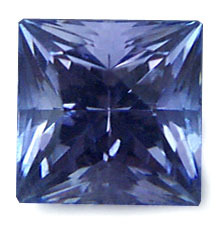 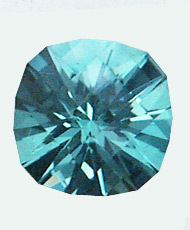 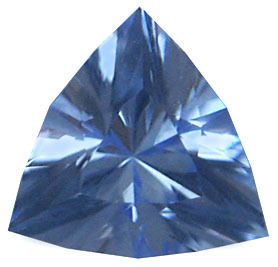 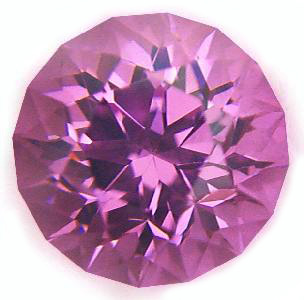 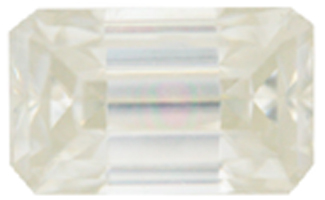 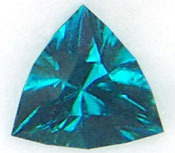 MM-288-CRIS: This is a beautiful bi-color Cristinite, faceted in a apex cushion triangle design, cut by John. 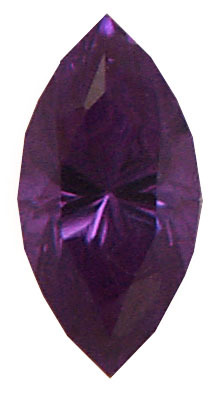 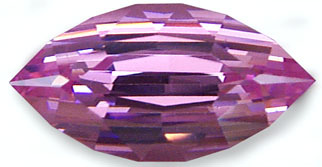 MM-304b-CRIS: This is a beautiful bi-color Cristinite, faceted by Barbara in one of her designs. 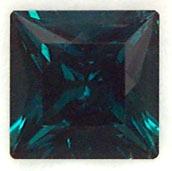 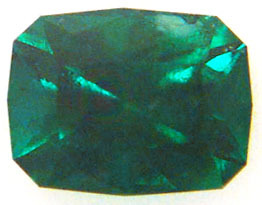 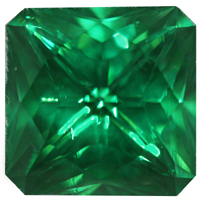 MM-331-CRIS: This is a beautiful emerald green Cristinite, faceted in a apex cut corner square design, cut by John. 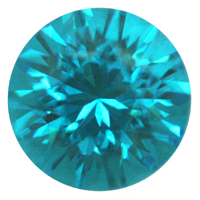 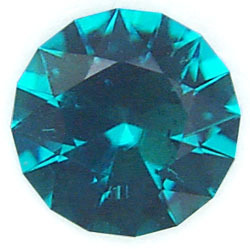 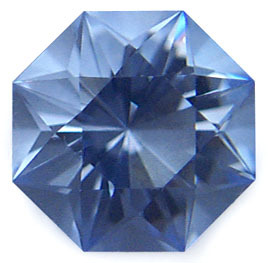 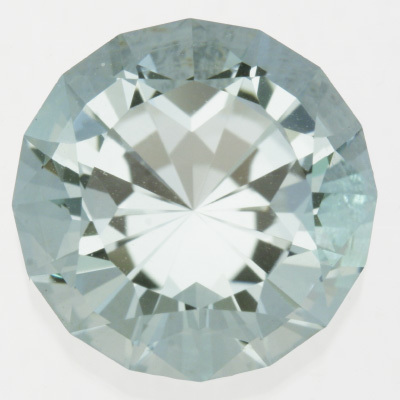 MM-334-CRIS: This is a beautiful Tropicana Blue Cristinite, faceted in a Standard Round Brilliant design, cut by John. 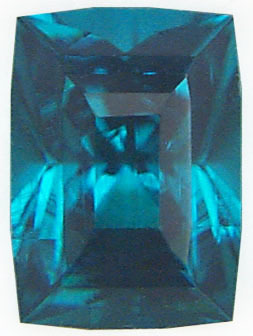 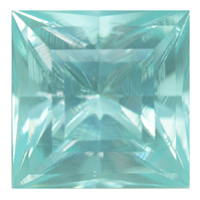 MM-339-CRIS: This is a beautiful Electric Aqua blue Cristinite, faceted in a Square Princess design, cut by John. 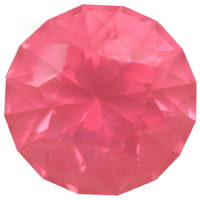 MM-340-CRIS: This is a beautiful and rare Tourmaline Pink Cristinite, faceted in a Mixed cut round design, cut by John. 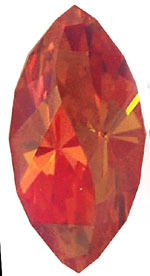 This is a clear stone with a slight amber cast, regarded as a "diamond simulant" in the 1960's. 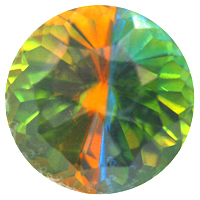 RI= 2.2-2.3 H=5 Strong dispersion! 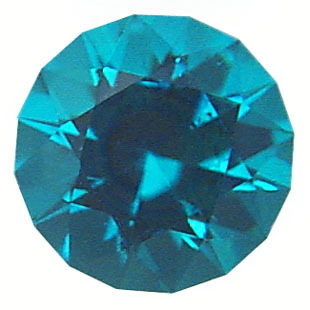 It was long thought to be a wholly artificial material, until 1982 when its natural counterpart was discovered in Siberia and named tausonite. 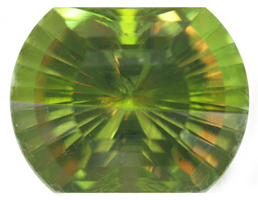 It has extreme dispersion which creates a fabulous gem, and has been marketed as "Fabulite". 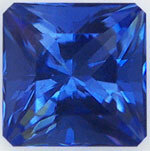 It has a hardness of 5.5 - 6, so not a good stone for a ring. 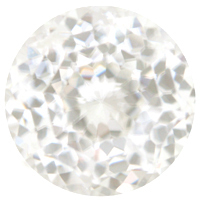 RI=2.41 which is about the same as a diamond, but it has very strong dispersion. 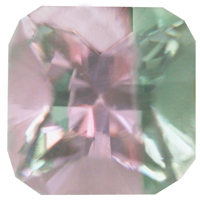 Updated: 11-10-14  All Rights Reserved.